The J.D. Power overall 100-Point Score provides car shoppers with a quick and concise score for comparison. 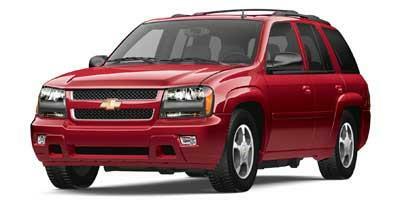 The 2008 Chevrolet TrailBlazer ranks earned a par score within their Midsize SUV segment according to verified owners. As a benchmark, the average 100-Point Score for the current model year settled at 80. This score is comprised of quality, performance, depreciation and dealership experiences with a 1-10 point scale depicted in the Red Blade Ratings below. 2008 Chevrolet listings within miles of 20149 Find 2008 Chevrolet listings for sale near you.